A developer pleges to save the milk-white Art Deco storefront of the old Pure Dairy building. But that doesn't mean a new building will be built on top. East Village Association members on Monday will see MCZ Development's plan for 1938 W. Augusta Blvd., most recently a Leona's restaurant. 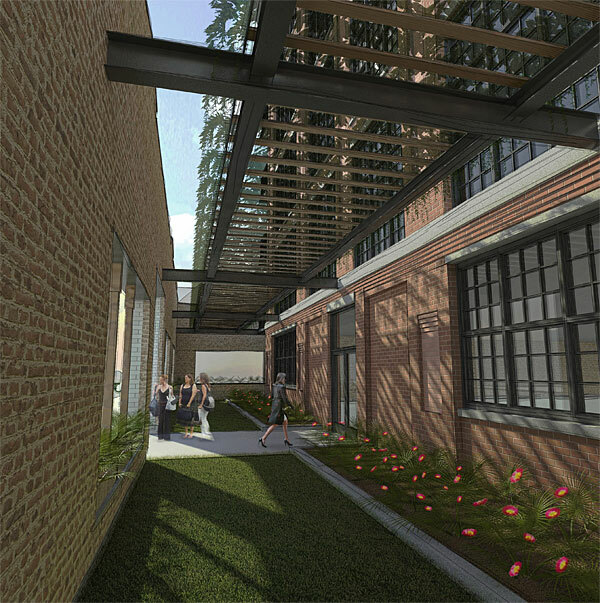 Renderings presented to EVA show the facade fencing in a 14-foot private yard and trellis, with a 5-story building behind it. EVA's planning committee worked with Space Architects + Planners on a concept that restores the facade and extends it to connect with the new building. MCZ will ask EVA members to consent to a smaller backyard without a loading area, which would require city approval. Otherwise, the 16 condos would be built within current zoning limits, with 16 parking spaces and 8 bicycle spots. The 3-bedroom units would be 1,535 square feet in size. The current 1920s building is built around an 1891 two-flat. 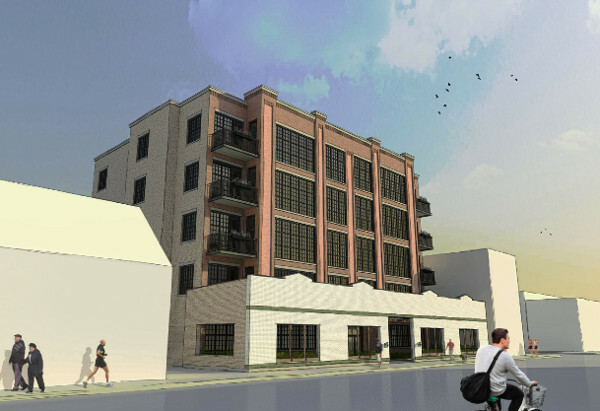 In November the city Landmark Commission approved razing the current structure over the objections of Ald. Brian Hopkins. The commission would have to approve its replacement. Architects on the panel recommended that the developer work with EVA on a dessign that maintains the integrity of the East Village landmark district. EVA members also will plan the summer block party Saturday, Aug. 20 on the 800 block of North Winchester Avenue. Monday's meeting starts at 7pm at the Happy Village, 1059 N. Wolcott Ave.